You seemed to have brought fried chicken back and made it popular again, what are your thoughts on that? Fried chicken has always been around. We started fried chicken six years ago at Ad Hoc and it seemed to resonate with a lot of people, it certainly has with me all my life. I think people just forgot about it for awhile – at least in our part of the word. In the south, they never forgot about it. It depends on where you are. We just made it interesting and good again. It has powdered vegetables in it, like Garlic. Why did you want to start the Sunday Supper concept? When I was a kid Sunday supper was for the family. We all gathered together and ate at 3:00 in the afternoon. The focus has been too much on food and I think food is really important but let’s face it, if you go out with people that you really don’t like, no matter how good the food is your still not going to enjoy the evening. If you go out with people that you really love, the food can be good be not wonderful and you can have such an amazing time. When you think about going out to dinner, your first and most important choice should be who am I going with because that is going to influence your experience so much. How are you dealing with the foie gras ban at your restaurants? There is nothing to deal with. The state passed a law. That’s it. We have introduced the chicken liver mousse which is a classic in French bistros. That is one thing that we did to transition from foie gras to another dish that was similar to foie gras, but we’ve had this on our menus in the past, it’s not something that is new to this style of restaurant or culture. Everyone has chicken liver. We are also working on a recipe for chicken liver that is going to look just like foie gras when it’s sautéed. Do you think there is loop –hole to the ban? Some chefs are saying they will still serve foie gras on tasting menus….. If you can’t buy it, how are you going to have it on the menu? People pay for the tasting menu….so in reality, you are paying for it. I’m not trying to find loop-holes in the foie gras law. I don’t want to put myself in a position to have someone come and arrest me. I’m kind of a high profile chef and the last thing I want is to be made an example of – that’s just stupid. If I was 25 years old, I might do it for some kind of marketing and publicity stunt, but that opportunity for me has passed to do that kind of thing. I have to be responsible and set the example for people. People have come to me and said let’s start a foie gras club. I’m not sure how that works if you buy it as an individual. Foie gras is a beautiful thing it’s a shame that the government feels it’s necessary to protect an animal. We have kids sleeping in the streets. There are bigger issues at hand than a duck. We could also talk about factory farming. Why is it only a duck they are trying to save? What about beef, what about chicken? Why did they pick on foie gras? Because they have no money to protect themselves. Do you think any of these lobbyists are going to go after the meat companies? Do you think PETA is going to go after factory farmed beef? There is just too much money in it and plenty of lobbyists to protect the industry. On a positive note, what are you excited about right now? We change our menu for times a year so I’m looking forward to going to Vegas where all the chefs from the different Bouchons get together and work on our menu items. We’re doing our fall menu now. I’m excited just about food and that every year we have great food available to us. We have to think about what our food sources are and for me it’s all about supporting those communities, whether it’s our fishermen, famers, foragers or gardeners and making sure that they have our support to be able to do what they want to do and they have a livelihood to grow and prosper and the only way to do that is with your pocketbook. We pay them what they need to make and in many cases that doesn’t happen. Many people are concerned about their financial well being, and I understand that, but there is always a rub there, how do you support these people who are producing artisanal products on small farms because they are more expensive. You can get meat and a carrot cheaper, but are you really supporting the right individuals? It’s a question of what your opportunities are and ability. Not everybody can support those people but we try to in a holistic way. Sometimes we buy the whole animal, so that farmers don’t have to worry just about raising the primal cuts. If we buy the whole animal, they have a better opportunity from an economic model to be successful. Lamb for instances doesn’t only produce a rack and a saddle – the cuts that everyone wants, but it produces legs and shanks and all kinds of things but if we are not committed to using the whole animal we are not contributing to any kind of sustainable culture. Do you think that all of these food festivals are helping to shed light on the artisan producers? Everything is helping to shed light. From where we’ve come in out country (since I started 35 years ago) is extraordinary. Our culinary heritage was hamburgers and fast food – that is what 90 percent of the world recognized American food to be – fast food, McDonald’s. Today we have some of the best chefs and restaurants, suppliers and farmers in the world. Another country that we are parallel with that shares our rise in culinary culture is the UK. 35 years ago if you asked about British food people would have said boiled beef. Now they have some of the best chefs, restaurants and ingredients in the world. Do you think the food festivals are becoming saturated? I think the chefs are being exploited for the sake of profit for people who want to make money. They think they can just come and open a food and wine festival. They tell the chefs they’ll get publicity and you have to donate food and then we’re going to line our pockets with cash. We say we’re going to give a small amount to charity so we can get that blanket wrapped around us that we’re a charitable organization. At the end of the day it’s all smoke and mirrors. I say that but then I’m close friends with some people who do those festivals, and I do think there is value in them – I’m not saying they are all like that. Back to your question, yes, I think there are too many. What do you like to do or cook in your free time? Golf! I’m surrounded by food so it’s not a priority of mine. I’m a simple eater so when I’m out of work….even when I’m working I eat with the staff. My favorite time of day is the family meal at 4:30. When I’m off on vacation, I’m not trying to find that gastronomic destination. It’s always available to me. I’m blessed. If I want to go to Daniel’s, I pick up the phone and call Daniel. If I want to go to John-Georges, I just pick up the phone. So for me it’s a little bit different and we are all colleagues. The same holds for them but most of us, because we deal with food all day long, just want to eat very simply. When you’re out with Ferran (Adria from El Bulli) he’s in the tapas bar, he doesn’t want to go to another fine dining restaurant because that is what he does all day. Since you like simple food, what are some of your favorite salads? The most important thing is seasonality. As we move into the fall, we are thinking about fall fruits like squash, potatoes and grains that we want to work with. More substantial salads with more protein involved like sweet breads or short rib. The classic salads are always available at Bouchon. The endive and watercress are mainstays on the menu but it changes because it’s a classic bistro and we have to maintain the heritage and relationship with France. Roasted chicken is also a mainstay, it’s been on the menu for the past 12 years in Yountville but what changes are the garnishes and vegetables with the seasons. The chicken recipe and technique doesn’t change. What you do is go to the market and that’s what you make your salad with or get your garnishes from. We want to be market driven. Will you open more Bouchon concepts in the future? I’m really happy with what I have and I have a lot. We are getting ready to open the second Bouchon Bakery in Las Vegas in the Venetian. No matter where you are cooking is a very simple equation: it’s all about ingredients and execution. We try to get the best ingredients and the execution is about skill level – so we want to make sure our staff has a very high skill level. We give them great training and mentor them. We also want to make sure that they have the equipment that they need. It’s a comfortable environment in our kitchen and it’s a comfortable environment to work in. It’s not rocket science, it’s just commitment. We work so hard all day long so that we can give our guests something that pleases them. At the end of the day the best chefs are very nurturing. What do you think about the resurgence of the subject on the death of Fine Dining? Look at fine dining in restaurants that are prospering around the country and around the world. No. Are bespoke suits dead? No. I don’t know what it is about fine dining that we continue to ask the question. Are we hoping that it dies? Is that what we’re saying? Finally, fine dining is dead. Thank God. Let’s stick a knife in it and move on – then we will only have casual restaurants. I don’t understand what the debate is. Certainly fine dining has changed – the quality, execution and commitment but I have kids in my restaurant that are 23, 24 years old that are extraordinary and this is going back 18 years. There has never been a time at The French Laundry where we didn’t have that and they were not 100 percent committed to fine dining, and if you look at their history 18 years later, they are still in fine dining. The guest that come to our restaurant are committed and it’s multi-generational, we don’t only have 75-year-olds in the dining room. There is a whole range of people who just love to have that experience. Look what Daniel Hum has done with Eleven Madison Park. It was a more casual restaurant that was dying when Danny Meyer had it. Now its fine dining and you can’t even get in the restaurant. Is casual dining dying? The old school used to be intimidating. When I opened French Laundry I didn’t want to have an intimidating restaurant. We have changed the style and the spirit of the restaurant but the focus on the food and service is still the same yet the ambiance has changed. Certainly fine dining has been casualized like everything else. Remember when you used to get dressed up to go to get on a plane or go to a play? Now you go in short pants and flip flops – there at Lincoln Center right now. It’s the casualization of the world really. No matter where you are what you used to get dressed up for you don’t anymore. 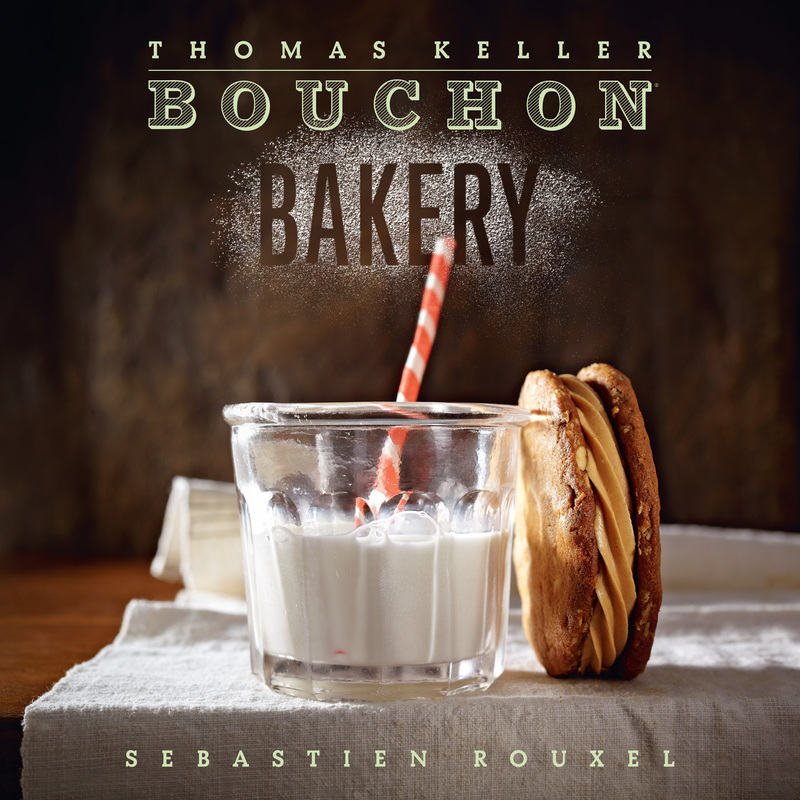 Even with all of Keller’s success, there is still a double edged sword at Bouchon that Keller is trying to break through. There is still an intimidation factor with French menu words that will hopefully start to become familiar the same way that spaghetti or lasagna became familiar to me when I was a kid. I’ve worked hard to eliminate intimidation because there is no place in a restaurant for intimidation. Like what is poulet? Well, it’s roasted chicken and everyone knows what that is. We are most comfortable when we can find reference points. It’s so intimate this food we are eating. It’s one of the foods that we all have in common around the world from Asia to Europe and America everyone has a version of this dish. For example, when we opened the bakery, I didn’t know what a caneléwas. You can’t know everything.